I really enjoyed the first of the Robert Langdon books Demons and Angels, and thought it was excellent, and The Da Vinci Code was pretty good, but this book struck me as boring and repetitive. It was too focused on Langdon's 'attractiveness'and his ignorance of it, explaining why hi is now on romance number three in as many books, and the overdone stretch that was the plot. I finished it and thought, 'Well, 2/3, not bad' and ended the series with an overall opinion that it was good, but imagine my surprise when I realized that there was, in fact, going to be another book. 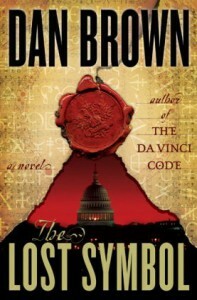 The series should have ended with The Da Vinci Code, I will not be continuing the series.